What’s not to love about an Arnold Palmer? I mean, it’s lemonade and iced tea – basically a perfect combination. I’ve been making this incredibly delicious Arnold Palmer chicken for every guest we’ve had all spring and summer (posting soon! ), so this drink has been on my mind. And I can’t believe it’s taken me this long to turn it into a popsicle! I added a little bourbon, and I totally dig the idea of placing some fresh peach slices in the molds (let me know if you try it!). Some chopped mint would be nice too, don’t you think? Place the sugar into a lidded container (I used the kind that take-out soup comes in). Zest the lemons right into the sugar, cover the container and give it a good shake. Let it sit for an hour, shaking it up occasionally. Juice the lemons into a small bowl and set aside. Bring the water to a boil in a small saucepan, add the tea bags, cover and let steep for 10 minutes. Remove the bags and add the lemon sugar and juice; stir till sugar is completely dissolved. Add 2 tablespoons of bourbon and stir again – taste and adjust the amount of bourbon if needed. Pour the mixture through a strainer into a spouted cup. 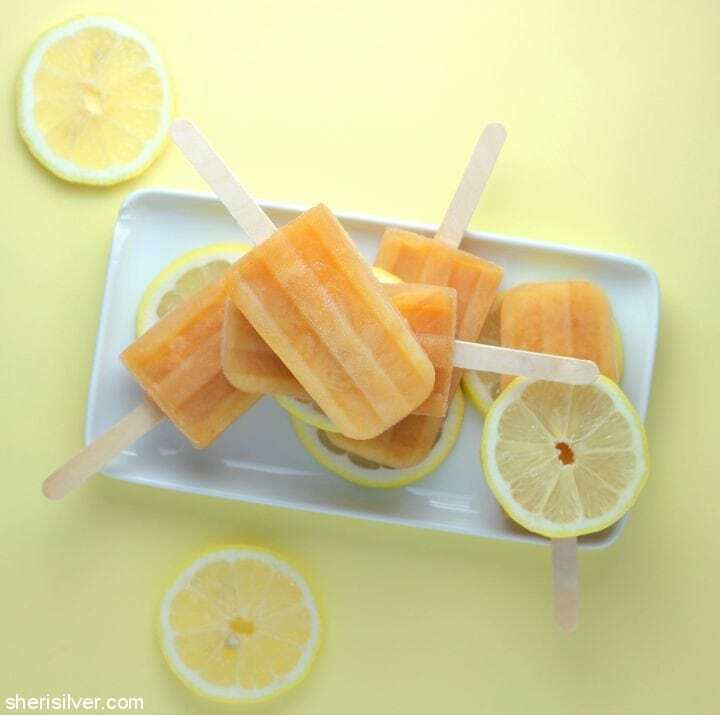 Pour into your popsicle molds and freeze till slushy. 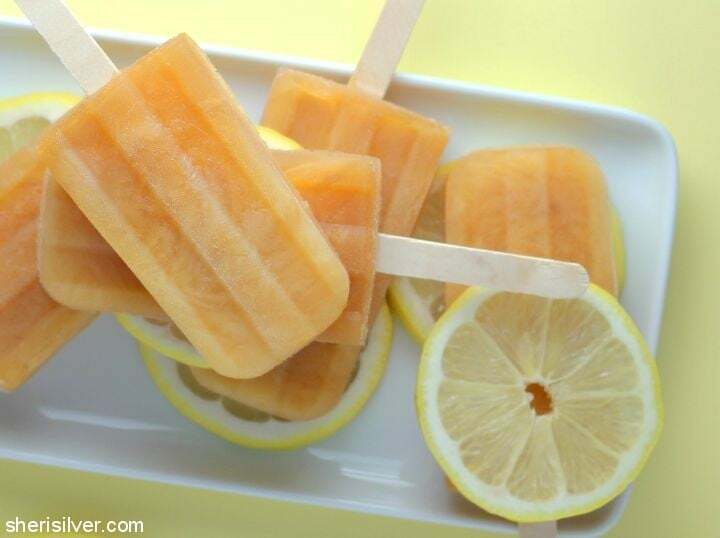 Insert your popsicles sticks and freeze overnight. Remove pops from molds by running briefly under hot water.